This article examines the origins of modern debates of corporate governance. While commonly traced back to the 1932 publication of Adolf A. Berle & Gardiner Means’s The Modern Corporation and Private Property, this article argues that corporate governance became a concern decades earlier, when scholarly and popular awareness was raised about the separation of ownership and control in the modern corporation and by a related but not identical development, the dispersal of mass share ownership. Taken together, these developments led to public concern over corporate management, and a reorientation of debates over the corporation to focus on shareholder protection. 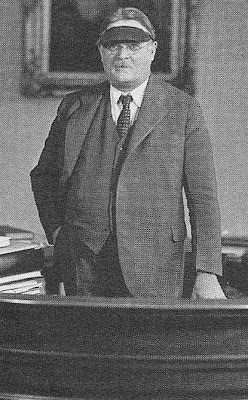 By the 1920s corporate governance was the subject of vigorous public debates sparked by the reformist campaigns of Harvard economist William Z. Ripley, now best remembered as the author of the critique Main Street and Wall Street. When Berle & Means’s work appeared in 1932, it was seen as part of already ongoing debates, the latest salvo in decades-old fights over corporate governance. The perspective provided here not only explains why Berle & Means’s work was hailed as a classic, but how corporate governance became a public issue in modern America. This brief essay, written for a symposium on conservative and libertarian reactions to President Obama’s first year, focuses on the Obama Administration’s efforts to effect transformative change. The essay explores the limits in the existing Constitution for constraining such change. It also argues that a desirable constitution would contain substantial limits on such change. The essay then discusses three situations where fundamental institutional change was attempted - the New Deal, the Great Society, and the early Clinton Administration - and describes the different results that occurred in these situations. It concludes by examining the prospects for fundamental institutional change under the Obama Administration. This paper delves into the age-old debate over free will and determinism as raised in the work that held popular culture transfixed for the better part of a decade: the Harry Potter novels. Though the final book was published in 2007, thus revealing the outcome of the series’ cliffhanger, this paper (written in 2006) argues that the books embody a Catholic moral theology and sensibility. The central figure through which those ideas are most fully expressed is not the title character, whose moral sense remains less than completely developed throughout the first six novels, but through another major figure in the series. That character’s mysterious past is whimsically explored here and tied to author J.K. Rowling’s larger purpose: to make the book a vivid object lesson in the power of love, forgiveness, and redemption – all essential elements of the Augustinian notion of free will. Rethinking the History of Early American Law: Kathryn Preyer's "Blackstone in America"
Kathryn Preyer's Blackstone in America." Mary Sarah Bilder (Boston College Law School). The MHS is located at 1154 Boylston St., Boston, Massachusetts. RSVP by Friday, April 9 at 617-646-0560 or here. This symposium takes up a collection of essays of deeply admired legal historian Kathryn Preyer, collected and published after her death. Dan Ernst had more to say about the book here. Federalism is one of the most important but least understood cornerstones of American law and politics. Current debates over issues as diverse as the healthcare bill, the economic stimulus package, abortion, and medical marijuana confirm this suspicion. Today, most Americans routinely employ the word “federal” to refer to a federal case, federal law, the actions of a federal prosecutor, or to the federal government itself. But what exactly does the term “federal” mean, and how did it come to have that meaning? 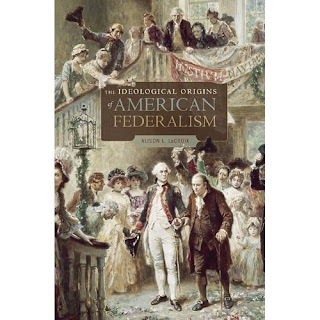 In my new book The Ideological Origins of American Federalism, which has just been published by Harvard University Press, I investigate the moments of political and constitutional crisis when the federal idea began to be cobbled together, first by colonists opposing the power of the British Parliament and later by the founders as they struggled to set up a workable model of government. 3. 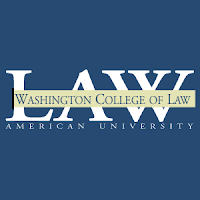 An informal discussion of two papers by WCL legal historians, Susan Carle’s “A Social Movement History of Title VII Disparate Impact Analysis,” and Lewis Grossman, "A History of the Concept of 'Medical Freedom' in the U.S."
Papers will circulate to attendees on or around April 9. If you plan to attend, please contact (now) Kellee Fitzgerald (fitzgerald@wcl.american.edu), who is the assistant of this semester’s organizer, Mary Clark (WCL). 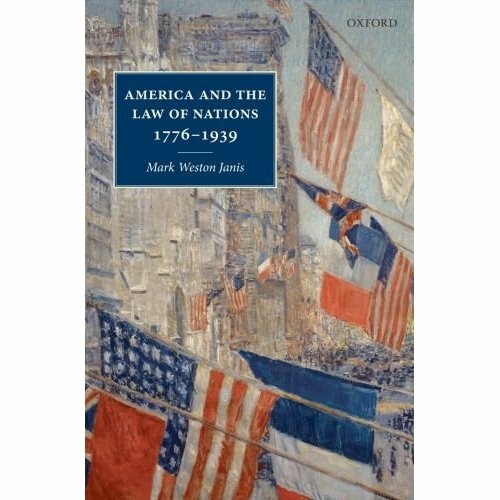 Oxford University Press has just published a new book by Mark Weston Janis of the University of Connecticut Law School, America and the Law of Nations 1776-1939. 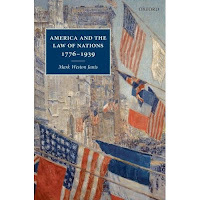 The book traces the complex, ambivalent, and often troubled relationship between the United States and the law of nations. It begins with a meditation on the differences between Blackstone's law of nations and Bentham's conception of international law, and probes the legacy of ambiguities surrounding these two terms. The book is full of utopian ideals of international adjudication, Christian notions of world peace, the search for a common scientific language of law, and Wilsonian idealism. In a certain sense, it is an intellectual history. Discussions of Chancellor Kent, David Dodge, Francis Lieber, and Elihu Burritt shape the lineaments of America's law of nations tradition. But it also probes how larger contestations--such as the long American War of Independence through the War of 1812, debates over the slave trade, legal battles over Civil War confiscation, and post-World War I isolationism--shifted the terms of the debate. Ending the book with the fall of the League of Nations underscores the peculiar mix of idealism and denial which characterizes America's response to the international legal community. The more optimistic theme is portrayed in the two cover illustrations. The front cover shows a painting of a street lined with a medley of flags--representing both foreign countries and the United States--flying during Allies Day, 1917. The back cover reproduces an Edouard Manet painting of a sea battle involving the Alabama, a Confederate warship built with the aid of Great Britain, which led to international arbitration of claims by the United States against the British for damage caused by the ship--a moment which Janis calls "the high-point of nineteenth-century American international law idealism." The Page Act of 1875 is usually characterized as an anti-prostitution law that helped pave the way for the infamous Chinese Exclusion Act of 1882. Most scholars also describe the Page Act as an example of lawmaking restraint, as Congress refrained from broader immigration restrictions out of respect for the existing Burlingame Treaty with China. This Article suggests that such an understanding is inaccurate or at best, questionable. Though the Page Act’s text may be focused on the protection of American morals, a review of newspaper articles, legislative debates, and other historical records indicate that the true driving force was the protection of American labor. Furthermore, while the text maybe have complied with the Burlingame Treaty, the Act’s application was a de facto violation of Chinese immigration protections. The focus on prostitution was thus a strategic victory: the emphasis on morality successfully masked what would otherwise be questionable restrictions on Chinese immigration. The Page Act is thus an early example of legislation purposefully couched in the name of morality in order to avoid legal or political backlash. It should be remembered not as a footnote to the Chinese Exclusion Acts, but as an important episode in the development of both immigration and foreign treaty law. Berle’s progressive vision of an economy of business organisations which operated in the interests of the community began to be realised in New Deal America and in post-war England. However, in the more recent period of neo-liberalism, corporations have reverted back to their longstanding ideological commitment to the protection and pursuit of shareholder value. That Berle’s work has not had a more longstanding effect on shareholder primacy hegemony, I state, may be attributed to a number of factors. First, whilst Modern Corporation is famous for empirically evidencing wide share dispersal and the resulting issue of director accountability, it is less known – in the UK at least – for its analysis of the changing nature of ownership in the context of share ownership. This has particularly important consequences in the UK, as much of the justification for shareholder primacy is based on a shareholder’s proper entitlement as owners. Second, as Berle acknowledged in his famous HLR debate with Merrick Dodd, much of the normative force of his model depends upon social context. Passive shareholding will only be ‘progressive’ in the context of a strong, socially concerned government. I will show here that post-war Britain’s welfare and nationalisation program was potentially such a context but that this changed with the triumph of the New Right at the end of the 1970s and because of internal contradictions within the labor movement. Finally, I will argue that because Berle’s separation thesis effectively relocates power to managements rather than shareholders (and incorporates an expectation that this tendency would increase with time), it is blind sighted by the emergence of more active, controlling owners. In enumerating Berle’s old themes in the current financial crisis it might be possible to see anew how we, as a society, should negotiate the balance of power and interests between all ‘stakeholders’ for the benefit of the community - concerns which are central to Berle’s work. monumental in sweep, and its absurd grandiosity should call to mind the fact that writing a “History of Black People” might seem perfectly reasonable to white people. But the title is literally accurate, because the book traces characterizations of the lighter-skinned people we call white today, starting with the ancient Scythians. For those who have not yet registered how much these characterizations have changed, let me assure you that sensory observation was not the basis of racial nomenclature. Also in the NY Times, reviews of TEXAS TOUGH: The Rise of America’s Prison Empire by Robert Perkinson and SUPREME POW ER: Franklin Roosevelt vs. the Supreme Court by Jeff Shesol. The Sabbath World: Glimpses of a Different Order of Time by Judith Shulevitz is reviewed in the New Republic. Ill Fares the Land by Tony Judt is discussed in the Los Angeles Times. Also in the LA Times, The Bridge: The Life and Rise of Barack Obama by David Remnick. Garry Wills, Bomb Power: The Modern Presidency and the National Security State, is reviewed in The Nation. This introduction to the Grotiana Special Issue on Mare Liberum (1609-2009) gives a rough sketch of the context of Mare liberum’s publication and the main arguments Grotius made in this pamphlet. It touches briefly on some of the latest arguments on Mare liberum and provides a survey of the contributions to this Commemorative Issue. Moreover, it sets the stage for the contributions which elaborate on the fate of Grotian concepts - not so much by historically tracing these ideas over the past 400 years, but by offering an analysis of how similar concepts are used in international law today. And, don't forget the Yale Law Library's exhibit, Freedom of the Seas, 1609: Grotius and the Emergence of International Law. The standard story describing the Warren Court’s criminal procedure “rights revolution,” claims that the Court, motivated by liberal egalitarianism, engaged in a rights-expanding jurisprudence that made it harder for the police to search, seize, and interrogate criminal defendants. Frightened by the popular backlash against high crime rates, a cowed Court in Terry v. Ohio shifted from its rights-expanding to a rights-constricting phase, making it easier for the police to search and seize criminal suspects. Measured by this rights revolution, there were in fact two Warren Courts, a liberal and a more conservative one, emblematically separated by Terry. The standard story is wrong. The Warren Court’s Fourth Amendment jurisprudence cannot be separated into rights-expanding and contracting phases. Rather than introducing a privacy right, the Warren Court, from the early 1960s onwards, mounted a consistent attack on pre-existing versions of the right to privacy. Rather than a privacy-protecting rights regime, the central Fourth Amendment right under the Warren Court was personal security. Extending security into areas hitherto unregulated by the law was a major concern of the Terry Court: an expansionist Terry cannot be squared with a Court in retreat in response to public outcry over crime rates. Worse, the story produced a barren doctrinal and political account of the Fourth Amendment. Focusing on equality, anti-discrimination, and privacy too easily paints law enforcement as a repressive force whose power and numbers should be severely limited. This narrow liberalism has turned progressive attention away from the vital and difficult task of generating a doctrinal and political account of policing: its justification, intrinsic limits, and proper means of regulation. Golf has a long history at the Supreme Court, not only as a sometimes illuminating, sometimes entertaining interest of some personalities at the Court, but also as both a factor in and a reflection of the evolving work and culture of the place (and of the nation it serves). This article revisits a few early developments involving the first golfer on the Court (Justice James Wilson), the first golf enthusiast (the first Justice John Marshall Harlan), and the first golfing majority (October Term 1906). According to this site, retired Justice Sandra Day O'Connor is a better golfer than Chief Justice John Roberts. Photo: Sandra Day O'Connor golfing. This is not a legal history event, but an important one nonetheless, honoring William Stuntz, Harvard Law School, an extraordinary scholar and a friend of legal history. A symposium celebrating Stuntz will be held at Harvard this Friday and Saturday, and will be webcast live. The schedule is here. Hat tip to Orin Kerr. Stuntz has written eloquently about his experience with terminal cancer, for example here. "WHILE HISTORY’S verdict on the Obama administration will not be rendered for quite some time," Ken Mack, Harvard Law School, writes in The Boston Globe, "the passage of health reform legislation stands as a signal achievement. Supporters say the new law places this administration within the Democratic Party’s longstanding mission to bring securit y to Americans left out of the social safety net." In assessing the long and fraught process that brought the once-endangered bill to passage, party faithful have taken inspiration from the great triumphs of the past — Franklin Delano Roosevelt’s “Second New Deal’’ of 1935, which brought Social Security and a host of other measures, and Lyndon Johnson’s Great Society programs of 1965, which broke the political logjam that had long frustrated federal action on education and health insurance. But that history is is also a measure of how difficult it is to enact social reform legislation at this particular moment in American politics. When Roosevelt and Johnson wanted to get their legislative agendas moving, each could depend on something that seems both anachronistic and undemocratic today — entrenched congressional committee chairmen who could move things forward, or halt them in their tracks. 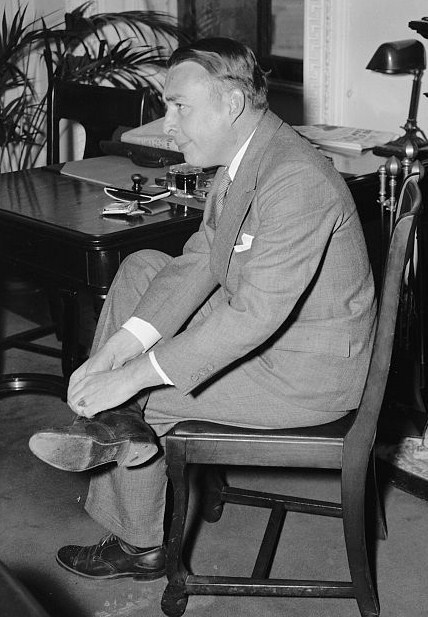 The days are long behind us when Roosevelt’s success in getting his New Deal measures enacted hinged on the long-serving Southern chairmen — their tenure in office assured by disfranchisement of black voters — or when the powerful, and fickle, Ways and Means Chair Wilbur Mills could singlehandedly frustrate the desire of multiple presidents for Medicare. That era was interred in the 1960s and ’70s when political activists successfully pushed for procedural reforms that transformed Congress into the modern cacophony of perspectives and political posturing we see today. If members of Congress are more independent, voters are too. Just a short time ago, the conventional wisdom among historians was that blocks of voters remained loyal to one party for long periods of time, with periodic realignments that could make possible such policy innovations as the New Deal. Today, however, many voters now affiliate themselves with neither party and seem up for grabs. What seemed to be the greatest challenge for supporters of the health care bill, however, was mobilizing voices outside the Beltway to push things forward. By contrast, when Roosevelt proposed his ambitious 1935 program, everyone knew that political alternatives had been bubbling up all over the country, some idealistic, others demagogic. They ranged from the novelist Upton Sinclair’s End Poverty in California program, which scandalized the Democratic Party, to Huey Long’s Share Our Wealth Society, which grew out of his flamboyant political power in Louisiana. Thirty years later, Johnson’s reform mandate was cemented not by political rivals, but by social movements outside of Washington that seemed to link Johnson’s success with his ability to get progressive measures through Congress. Johnson’s basic problem was that he took office with no electoral mandate at all. He worried intensely about it, and solved the problem by tying himself to the mantle of his assassinated predecessor. 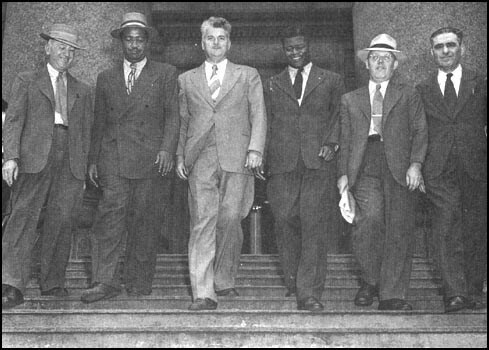 Johnson pledged to get Kennedy’s stalled civil rights legislation through Congress. That tied Johnson, in turn, to a civil rights movement whose demonstrations had pushed Kennedy to propose the legislation, and in particular to Martin Luther King, Jr. Johnson could formulate his ambitious 1965 social program only with the added confidence, political clout and electoral mandate that flowed from his ability to enact the legislation that civil rights activists had placed on the nation’s agenda. In recent weeks, the Obama administration seemed to recognize this problem and sought to mobilize supporters around the country, after months in which that kind of improvisational, decentralized energy seemed more in possession of the opponents of social reform legislation than of its supporters. To the extent that the legislative triumphs of the New Deal and Great Society are held up as inspirational examples in assessing what the Obama administration has achieved, one should also remember the structural advantages that Roosevelt and Johnson had in putting their programs through, and the help that they received, willing and unwilling, from political and social movement leaders who were beyond their control. When the definitive history of this political moment is finally written years from now, the ability of the administration, and its opponents, to foster innovation in an age of political constraint will surely be one of the central stories. ﻿On Tuesday my colleague Ladislas Orsy, S.J., delivered the lecture “At the Origins of Modern International Law: Francisco de Vitoria (1485-1546),” as part of Georgetown Law’s Thomas More Seminar for 2009-10. Father Orsy’s synopsis is below; a podcast of his lecture is here. The present lecture is an exposition of the doctrine of a 16th century professor of Salamanca, Francisco de Vitoria, concerning the foundational principles of international law. He presented his theory in two lengthy “conferences” that he delivered in 1539, toward the end of his life, in defense of the “Indians” whom the Conquistadors violently deprived of their liberty and property. 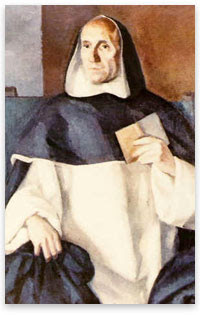 Vitoria affirmed that the Indians were no less rational and free human beings than the Spaniards; they were therefore protected by the ius gentium, the law of the nations. He then elaborated on the norms and demands of such “international order” and advocated universal freedom of religion, theoretical and practical separation between political and spiritual authorities, right for the citizens to choose their government, and autonomy for all countries û but not without the duty of cooperation among them. He proposed open borders allowing migration and free trade. His voice, however, was a cry in the desert; the nations were not listening. In Spain the Inquisition raged and ravaged the communities of every religion; further North Christians turned against each other and plunged the continent into bloody confrontations. Social inequalities were rampant and led to violent revolutions. Wars followed wars, leading to the singular inhumanities of the 20th century. The contrast between the clear and salutary vision of Vitoria and the destructive policies of many nations in the last five centuries is there for all to see. The lecture focuses on Vitoria because he can be of good counsel in avoiding similar (or greater) disasters in the future. He was a fiercely independent thinker with an intellectual horizon that embraced the achievements of Antiquity and the best hopes of Modernity. He made good use of Aristotle’s teaching on prudence but he appreciated the empirical approach of the Romans in building a legal system. He advocated a permanent policy of liberté, egalité, and fraternité well before the French revolution. Today (without being aware of it) the European Union is struggling to implement his doctrine on balanced interchanges among the member states. Vitoria’s vision remains as fresh, and as refreshing, as it was some five hundred years ago. To ask what was the teaching of Vitoria is not enough. An equally important question is: how did he reach such sound conclusions? The lectures, therefore, will attempt to discover, step by step, not only his ideas but also his method, which reflects an unusual combination of sharp reasoning and close attention to human suffering. To establish a good order in this global world, we certainly need the insights of the sages but we need to hear also the cry of the oppressed, the refugee, and the powerless. There may be the gist of Vitoria’s message. Philadelphia scion George Wharton Pepper was an accomplished figure in American legal history. As a student at Penn, he helped found the Daily Pennsylvanian in 1888, the university's student-run newspaper. After studying the law under prominent Philadelphia attorney George Biddle, Pepper ran his own successful law practice in Old City. A first-rate legal mind, Pepper was a founding member of the American Law Institute (whose archives, coincidentally, are located at the Law School). Later, he also entered politics, and served as our United States Senator from 1922 to 1927. And, amidst all his professional achievements, he found time to teach at the Law School from 1893 to 1910. I processed a small collection of papers from Insurance Law courses Pepper taught in the late 1890s. The collection includes Pepper's lecture notes, class hypotheticals, and a syllabus-referred to as a "synopsis"-from the 1897 term. This is the story of Tonson v. Baker, the first copyright suit brought under the Statute of Anne in 1710. Filed in the Court of Chancery three months after the statute went into effect, the case pitted the most famous publisher of the day against a gang of notorious book pirates. The case was never reported, but it has now been pieced together using over 100 manuscript records marshaled mainly from archives in London, England, and from hundreds of other primary sources. After recounting the suit and the circumstances surrounding it, this Article uses Tonson v. Baker as a launching pad to demonstrate how copyright history can remain doctrinally relevant today. The subject of my critique is the Supreme Court’s decision in Feltner v. Columbia Pictures Television, Inc., which concerned the constitutional right to a jury trial for statutory damages under the Copyright Act of 1976. The Article closes by providing transcriptions of the manuscript court documents from Tonson. 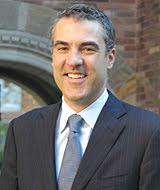 Ajay K. Mehrotra, Indiana University-Bloomington, Maurer School of Law, has posted The Price of Conflict: War, Taxes, and the Politics of Fiscal Citizenship, a review essay of War and Taxes: Sacrifice and Self-Indulgence on the American Homefront by Steven A. Bank, Kirk J. Stark, and Joseph J. Thorndike. The essay is forthcoming in Michigan Law Review 108 (April 2010): 1053-1078. Since 2003 American political leaders and lawmakers have been committed to the simultaneous pursuit of tax cuts and military excursions abroad. Just a few decades ago, when military hawks were also deficit hawks, such a position would have seemed incongruous. This essay reviews, War and Taxes, a provocative and fascinating new book that seeks to explain the apparent dissonance of recent American wartime tax policy. In contrast to conventional wisdom which presumes that wartime patriotism has always and everywhere trumped self-interest, War and Taxes shows that the history of U.S. wartime taxation is not quite such a heroic tale. By chronicling the complex and contested political history of wartime tax policy and its links to fiscal citizenship, the book reminds readers that many previous lawmakers and leaders resisted spreading the price of conflict onto the American people. 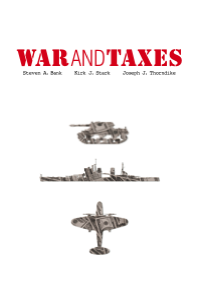 In addition to reviewing the main themes of War and Taxes, this essay argues that the authors have provided a judicious, yet ironic, account of the long history of American wartime opposition to tax increases. In their careful efforts to provide a balanced and measured history, the authors inevitably, and perhaps inadvertently, draw attention to the ultimately unprecedented fiscal policies recently pursued by American leaders. Although War and Taxes provides a valuable and necessary corrective to the overly romanticized history of wartime sacrifice, its attempts to bracket the highly partisan and ideological aspects of tax cuts during moments of national crisis can be seen as a damning indictment of recent wartime tax policy. I’m a big fan of Mehrotra’s “Lawyers, Guns, and Public Moneys: The U.S. Treasury, World War I, and the Administration of the Modern Fiscal State,” just out as a forum with comments by Christopher Capozzzola and Michael A. Bernstein, in volume 28, number 1, of Law and History Review. Over at the Faculty Lounge, Alfred Brophy reports the impending publication of the second volume of Transformations in American Legal History -- Law, Ideology, and Methods -- Essays in Honor of Morton J. Horwitz. Professor Brophy reports that the book contains "a lot of talk by distinguished historians about Horwitz' scholarship. There is more discussion of Horwitz' constitutional law scholarship and less on the common law than I might have expected. 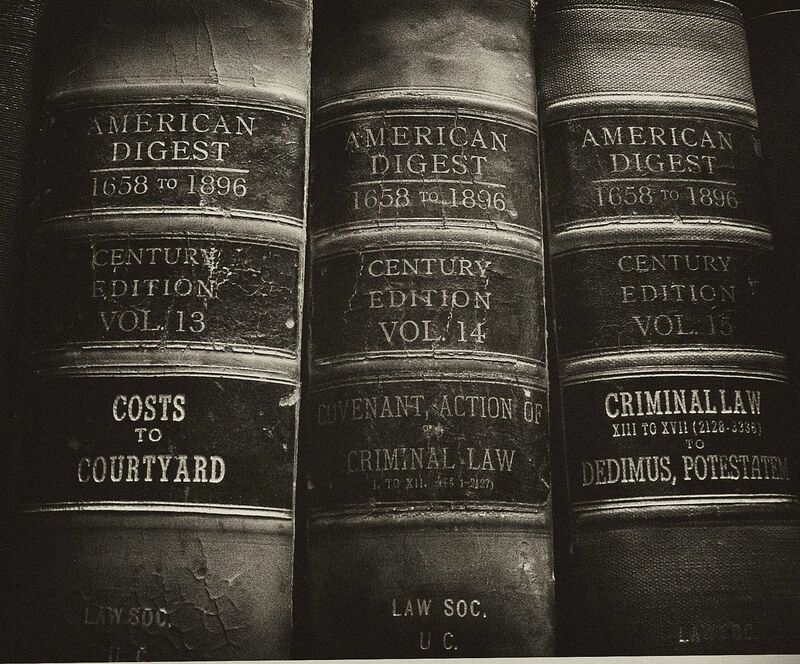 There's also a lot of talk about the trajectory of legal history, how it's now populated with more women and African Americans as subjects of study than when Horwitz began -- and how it's engaged with issues of contemporary concern, instead of antiquarian interests." The table of contents for the second volume is here; for the first, here. We somehow missed the story Relax, Legal Scholars: Bobbleheads Are Safe at Yale when it first appeared in the New York Times--quite unaccountably, as I am a proud owner of one the featured items, a bobblehead of Justice Brandeis riding engine 2499 of the Erie Railroad, which struck Harry Tompkins and produced the great case of Erie R.R. v. Tompkins. 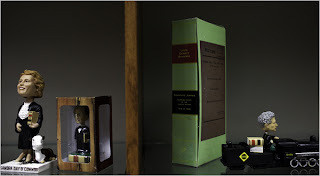 (Professor Davies once handed them out to attendees of George Mason's session of the District of Columbia Area Legal History Roundtable, thereby raising the bar for party favors to an unclearable height.) Hat tip to Fred Turner. Update: The Yale Daily News's story is here; an H-Law posting by Mark Widener, Yale's Rare Book Librarian, here. Painter has given us an attractively linear account of how the numbers of white Americans grew in distinct "enlargements. "...It is tempting to see Painter's successive enlargements as stages in the making of white America, comparable to the successive migrations that Ira Berlin marks in the making of black America. But Painter's enlargements, after the first one, were the silent initiation of immigrants into a new nationality without any visible rites of passage. This is not to say the enlargements did not occur, but that they took place in people's emotions and minds without leaving a record. 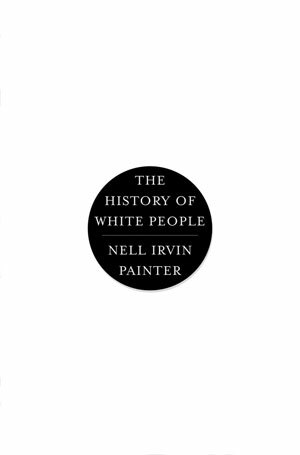 Painter traces them in the words of various savants and pundits, but they are actually the construction of a gifted historian, giving shape to a shapeless process by which white Americans maintained their national identity while encompassing a continuous flood of strangers. This Article illustrates a paradox in the regulation of families. On the one hand, jurisprudence sanctions biological connection to promote liberty and the private production of value and culture, including the protection of the freedom of non-normative parents to parent. At the same time, however, this regulation serves as a restrictive paradigm for family composition, rigidly adhering to a biologically-evocative two parent maximum that fails to reflect the intricacies of private ordering or political constructions of biological connection. The legal and social disruption of these connections exposes their structural and subjective materiality to individual and group identity and challenges conventional notions of the two-parent family that continue to dominate postmodern family doctrine and theory. The Article deploys the gendered and racial history and development of adoption law and the lived experience of adoption’s constituents to illustrate the perils and promise of the new postmodern families. Although this critique commends the new regulatory schemes for legitimating lesbian and gay family formation, assisted reproduction, and stepparent-child relationships, it problematizes the exclusive bionormativity of this regulation and suggests that the law should recognize and even legitimate the porousness of these new families. The article proposes a unique and perhaps controversial approach to kinship that pushes against current regulatory trends that privilege social relations at the expense of biological connections. David Seipp, Boston University School of Law, figures in A Test of Will: Little Neck Trustees, Homeowners Seek Changes in 17th-century Bequest to Ipswich Schools, a story posted yesterday on the Boston Globe's website. When William Paine died in 1660, he left his mill in Watertown and home in Boston to his wife. He gave shillings and pounds to three grandchildren, clergy members and the “Colledge at Cambridge,’’ better known as Harvard. 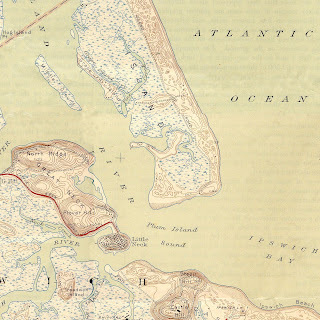 And to the schoolchildren of Ipswich, Paine bequeathed “the little neck of land,’’ which today is called Little Neck, 27 acres rising over the Ipswich River and the sea. Today 167 cottages dot the wind-swept land that is owned by a trust called the Feoffees of the Ipswich Grammar School. Residents own their cottages, but rent the land from the Feoffees, a medieval term for trustee. In his handwritten will, Paine also stated Little Neck should not be sold. The land ". . . is to bee and remaine to the benefit of the said scoole of Ipswitch for ever . . . and therefore the sayd land not be sould nor wasted," he wrote. Now, 350 years after Paine penned his will in Old English [sic], Little Neck could go condo. 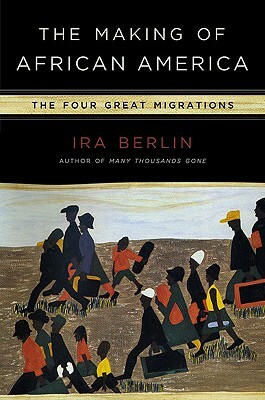 THE MAKING OF AFRICAN AMERICA: The Four Great Migrations by Ira Berlin is taken up today in the New York Times. Also in the NYT, VOODOO HISTORIES: The Role of the Conspiracy Theory in Shaping Modern History by David Aaronovitch. Freedom's Orator: Mario Savio and the Radical Legacy of the 1960s by Robert Cohen is reviewed in The Nation. IN THE NAME OF GOD AND COUNTRY: Reconsidering Terrorism in American History By Michael Fellman is reviewed in the Boston Globe. SUPREME POWER: Franklin Roosevelt vs. the Supreme Court by Jeff Shesol gets a review in the Washington Post. And for the sports fans, Satch, Dizzy, and Rapid Robert: The Wild Saga of Interracial Baseball Before Jackie Robinson by Timothy M. Gay is reviewed in the New Republic. The Ninth Judicial Circuit Historical Society announces the 2010 Jerome I. Braun Prize in Western Legal History. The prize, named in honor of a NJCHS past president, will be awarded for the best unpublished article-length manuscript on the legal history of the trans-Mississippi North American West. The Prize carries a cash award of $1,000 for the winning essay and $500 for the first runner-up. 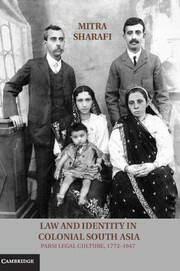 The winning essay will be published in Western Legal History. Authors are encouraged to explore topics that illuminate the contributions of the law, lawyers, judges, and law-related organizations to the social, political, economic, and cultural history of the North American West. Submissions must be 25-40 pages in length (double-spaced) plus endnotes. Please submit entries by pdf along with a brief biographical statement by December 1, 2010. Entries and inquiries should be sent to njchs@hotmail.com. Please write "Braun Prize" in the subject line. This symposium asks how we can quantify and evaluate what judges do. Some of the papers are skeptical of attempts at quantification. These questions are of importance to legal historians, who frequently seek to link judicial behavior to larger cultural, economic, and political trends. This essay suggests some ways that one might quantify and thus measure an important and central issue for legal historians: how did appellate judges define, work with, and alter the “rule of law”? A press release heralds the appointment of the legal historian John Fabian Witt as the Allen H. Duffy Class of 1960 Professor of Law at the Yale Law School, here. The story of Pickering v. Bd. of Education, a foundational case in public employment law, prominently foreshadows more generally the coming prominence of the doctrine of unconstitutional conditions in constitutional law. Under that doctrine, the Supreme Court limits a government actor, like a government employer, from being able to condition governmental benefits, like public employment, on the basis of individuals forfeiting their constitutional rights. It would thus seem to follow that a public employee should not have to sacrifice constitutionally-protected rights in order to enjoy the benefits and privileges of public employment. Yet, today, that is far from the actual case. So why have First Amendment public employee speech rights, which have traditionally enjoyed protection under the doctrine of unconstitutional conditions, suddenly diminished in recent years? I want to suggest in this contribution to First Amendment Law Stories that a certain jurisprudential school of thought – the “subsidy school” – has significantly undermined the vitality of the unconstitutional conditions doctrine through its largely successful sparring with an alternative school of thought, the “penalty school.” Under the subsidy school of thought, in contexts as different as abortion funding to the provision of tax exemptions, the unconstitutional conditions doctrine has become largely toothless, as government actors can simply compel a given result by saying they are doing nothing but subsidizing (or not subsidizing) a right a citizen or public employee already has under the Constitution. In order to more concretely illustrate the genesis of the unconstitutional conditions doctrine, and its recent distortions, this Chapter returns to an in-depth exploration of the case that started it all: Pickering v. Bd. of Education. Although the Court decided this case in Marvin Pickering’s favor, the resulting framework has, over the years, been interpreted by the Supreme Court in a manner that significantly limits public employee free speech rights. The American Bar Foundation invites scholars to join the intellectual community of the ABF for the 2010-2011 academic year (8/31/10 to 6/30/11). For visitors, the ABF offers an office, phone, and computer but no stipend. The ABF encourages national and international scholars on leave or sabbatical to take advantage of the ABF's diverse intellectual community and excellent facilities. Preference will be given to visitors whose scholarship coincides with the research agenda of the ABF and who will be in residence fulltime. Visitors will participate in the intellectual life of the ABF, including participation in seminars. If you have an interest in this opportunity, please send an email to Robert Nelson at rnelson@abfn.org, subject line: Visiting Scholars Program, which states (1) the topic on which you are working, (2) the preferred dates for residence, and (3) the days each week you would expect to be at the ABF, (4) attach a CV. Applications should be received by April 1, 2010 though later applications will be considered as space allows. The ABF Appointments Committee will review applications and prospective visitors will be notified in late Spring 2010. Hughes and Roberts abandoned the other conservatives in all twelve cases. They may have done so in order to defeat the Court-packing plan. It is true that the first of the decisions--which, overruling an earlier decision of the Court, upheld the federal minimum-wage law, and which is generally regarded as the turning point for the Court because it was the first decision in the string--was voted on by the justices (though not issued) before the plan was announced. But the vote came after the 1936 election, and it was believed that Roosevelt would mount some kind of serious challenge to the Court....The two justices may have come to believe that to kill the New Deal would be playing with fire in the name of dubious constitutional doctrines to which neither of them was as emotionally committed as their extreme conservative colleagues. If that was their thinking, I am enough of a legal realist to withhold criticism of their “political” decision making. Linda Gordon for "Dorothea Lange: A Life Beyond Limits"
Woody Holton for "Abigail Adams"
Margaret D. Jacobs for "White Mother to a Dark Race: Settler Colonialism, Maternalism, and the Removal of Indigenous Children in the American West and Australia, 1880-1940"
Hat tip to Ralph Luker. 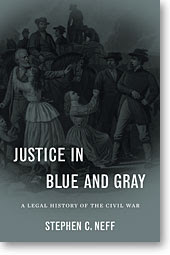 Stephen Neff offers the first comprehensive study of the wide range of legal issues arising from the American Civil War, many of which resonate in debates to this day. Neff examines the lawfulness of secession, executive and legislative governmental powers, and laws governing the conduct of war. Whether the United States acted as a sovereign or a belligerent had legal consequences, including treating Confederates as rebellious citizens or foreign nationals in war. Property questions played a key role, especially when it came to the process of emancipation. Executive detentions and trials by military commissions tested civil liberties, and the end of the war produced a raft of issues on the status of the Southern states, the legality of Confederate acts, clemency, and compensation. A compelling aspect of the book is the inclusion of international law, as Neff situates the conflict within the general laws of war and details neutrality issues, where the Civil War broke important new legal ground. This book not only provides an accessible and informative legal portrait of this critical period but also illuminates how legal issues arise in a time of crisis, what impact they have, and how courts attempt to resolve them. Update: Charles W. McCurdy's verdict for Civil War Book Review is here. Eric Foner discusses the new Texas history standards on the Colbert Report. Hat tip. Federalism is regarded as one of the signal American contributions to modern politics. Its origins are typically traced to the drafting of the Constitution, but the story began decades before the delegates met in Philadelphia. 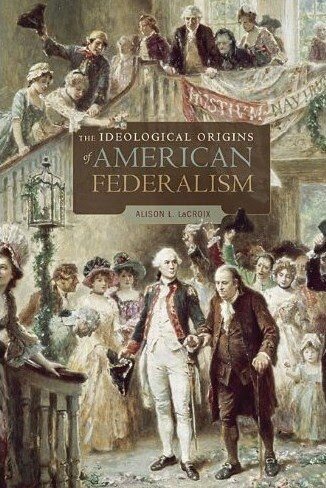 In this groundbreaking book, Alison LaCroix traces the history of American federal thought from its colonial beginnings in scattered provincial responses to British assertions of authority, to its emergence in the late eighteenth century as a normative theory of multilayered government. The core of this new federal ideology was a belief that multiple independent levels of government could legitimately exist within a single polity, and that such an arrangement was not a defect but a virtue. This belief became a foundational principle and aspiration of the American political enterprise. LaCroix thus challenges the traditional account of republican ideology as the single dominant framework for eighteenth-century American political thought. Understanding the emerging federal ideology returns constitutional thought to the central place that it occupied for the founders. Federalism was not a necessary adaptation to make an already designed system work; it was the system. Connecting the colonial, revolutionary, founding, and early national periods in one story reveals the fundamental reconfigurations of legal and political power that accompanied the formation of the United States. 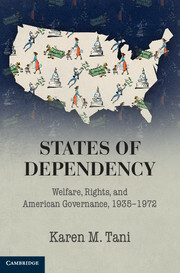 The emergence of American federalism should be understood as a critical ideological development of the period, and this book is essential reading for everyone interested in the American story. LaCroix's great achievement is to show that American federalism has an intellectual pedigree: it was not simply an ad hoc institutional arrangement, a bundle of compromises, or a codification of colonial experience in the British Empire. Instead, revolutionaries theorized their way to federalism. This is an important book that will change the way we think about the American founding. Where did American federalism come from? Although federalism's roots in the institutional practices and structures of the early modern British Empire are well known, we have long needed a history of federalism as a legal and intellectual concept. Thanks to Alison LaCroix's splendid book, that wait is over. 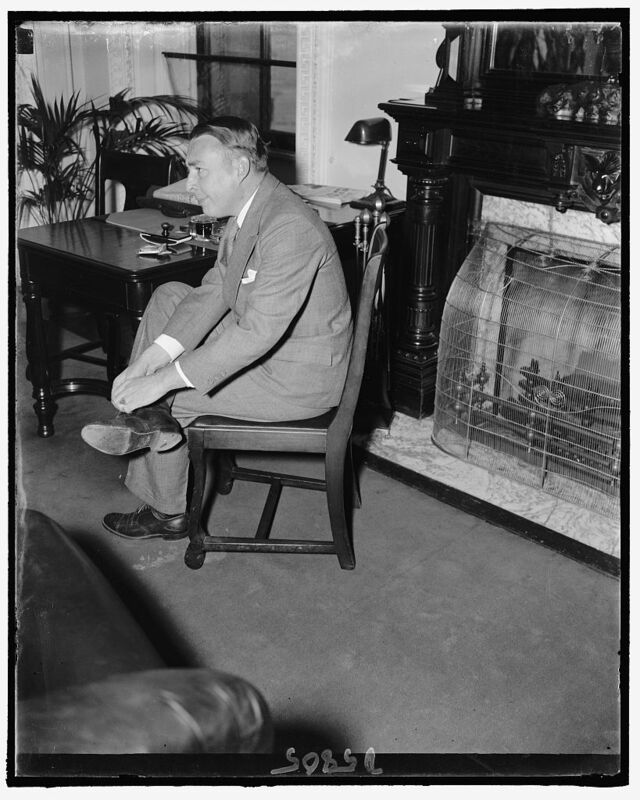 Long-time readers of the blog will recall my series of posts on Roscoe Pound and the administrative state. An essay based on them is still forthcoming, but, in the interim, here is a previously unremarked upon source on the Harvard law dean. After stepping down from the deanship in the fall of 1936, Pound treated himself and his second wife Lucy to a round-the-world cruise. As it happened, his ship left San Francisco on February 5, 1937, the very day Franklin D. Roosevelt announced his plan to “pack” the U.S. Supreme Court by appointing one new justice for every sitting member of the Court over the age of seventy. Thanks to the New York Times, we know Pound’s view of the Court-packing plan when he returned to the United States on August 31. It was “one of the most outrageous things that ever occurred in American legal history,” he fumed at dockside. But I wondered what his initial reaction had been. Seeing from his diary that Pound had addressed the Honolulu Bar Association, I asked my ace research assistant, Owen A McGillivray (Georgetown Law 2010) to see if he could locate a newspaper account of Pound’s remarks. He could and he did. Roscoe Pound, who retired last year as dean of the Harvard law school, today described President Roosevelt's proposed judiciary reform program as "just a big bluff." Dean and Mrs. Pound arrived today on the Asama Maru en route to the Orient on a world tour. The jovial dean, internationally recognized as an authority on jurisprudence, said: "It looks to me like just a big bluff." "This talk about forcing retirement of justices over 70 is stuff, just plain stuff. "Some of the greatest judges who have ever sat on the supreme court bench have been over 70." Dean Pound said wireless dispatches received aboard the Asama, which sailed from San Francisco prior to announcement of the president's proposal, carried only a brief summary of the suggested reforms. "I'm not acquainted with all details of the proposal," the dean said, "but it looks like a grandstand play." "Practically all lawyers are agreed that some reform and modernization of court procedure should be effected. "But a reform of procedure only is not sensational enough for the president to drop in the lap of congress." Addressing the Honolulu bar association at the Alexander Young hotel this noon, he said that during every period of economic and political crisis attempts have been made to change the legal machinery. "But," he said, "men don't lose the accumulated experience of adjusting human relations." He reviewed the history of law from Anglo-Saxon times to the present and showed how successive eras of changed attitudes and interpretations of the function of law have inevitably reverted to basic principles. 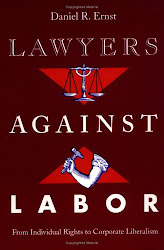 Dean Pound said the current era of arbitration and collective bargaining probably will necessitate an adjustment of laws which make employers responsible for acts of their employees. Dean and Mrs. Pound were met at the pier this morning by many local friends and representatives of the local bar association. He served as dean of the Harvard law school from 1916 to 1936, retiring last year. He has honorary degrees from a dozen American and European universities. He is also an authority on botany and is a member of several distinguished foreign scientific academies. He is a Republican and served on President Hoover's national committee on law observance and enforcement in 1929. Dean Pound was in Honolulu in July and August, 1935, with other members of the American Bar Association. Since 1982, the Brandeis School of Law at the University of Louisville has periodically awarded the Brandeis Medal to “recognize individuals whose lives reflect Justice Brandeis’ commitment to the ideals of individual liberty, concern for the disadvantaged, and public service.” The recipient receives the medal in a public ceremony, at which they deliver a speech on a subject that is at least tangentially related to Louis D. Brandeis. Past honorees have included Harry Blackmun, Sandra Day O’Connor, Ruth Bader Ginsburg, Stephen Breyer, Janet Reno, Morris Dees, Robert Morganthau, John Lewis and Archibald Cox. This year’s recipient will be Mel Urofsky, author of Louis D. Brandeis: A Life and the co-editor of 7 volumes of letters by Brandeis. Urofsky will be awarded the medal at 1:00 PM on April 1st in room 275 of the Law School, here at the University of Louisville, whereupon he will deliver his lecture. Afterward, there will be a reception and book signing. The event is free and open to the public. If you happen to be in Leicester, hope to see you later today. (The paper for my lecture is here.) Otherwise, apologies, dear reader. It will be a light week. 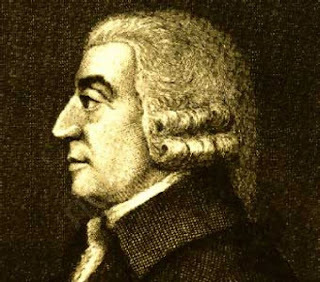 Adam Smith lectured in jurisprudence at the University of Glasgow from 1751 to 1764, and various records of these lectures survive. Since Smith never completed a treatise on law, these records are the principal source for his theory of lawmaking. In his final year at Glasgow, Smith undertook to reorganize the course of lectures: he began with a series of lectures on “forms of government,” where formerly these lectures had fallen at the very end. He explained that his reorganized lectures followed the method of the civilians (i.e., contemporary writers on Roman law), and that this method was to be preferred. This paper discusses Smith’s theory of lawmaking and seeks to explain why he undertook to reorganize his lectures. Some scholars have argued that Smith had a substantive reason for his decision, i.e., that the change was demanded by his developing theory of law. This paper, to the contrary, argues that his decision was far more innocent. He had occasionally sought to explain how certain laws came about by reference to the “ages of society.” This is the theory that societies tend to present themselves under the model of one of four ages, each age identifiable by a certain mode of subsistence. This “stadial theory,” however, though adequate to explain the genesis of a handful of rights, was inadequate to explain the genesis of most laws. 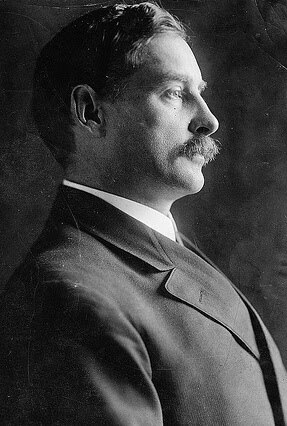 For the latter, Smith used a more immediate cause: form of government. Yet exposition of this thesis was difficult when the lectures on government were postponed to the end. Smith’s decision to reorganize the course of lectures helped to cure the problem. Jacqueline Lipton started a discussion at the Faculty Lounge about summer writing strategies. I offered a couple of suggestions, and thought I'd repost here in case they are of help. First is the 1000 words a day idea, which I've seen other writers use extremely well. When I was at the Rockefeller Center in Bellagio, one colleague sat at her desk every morning after breakfast, and stayed there until the 1000 words were done. How long that took varied. But sometimes she was finished in the early afternoon, and then she took the afternoon off, and had more time for strolls along Lake Como than I did, with my less disciplined/more erratic approach to writing. 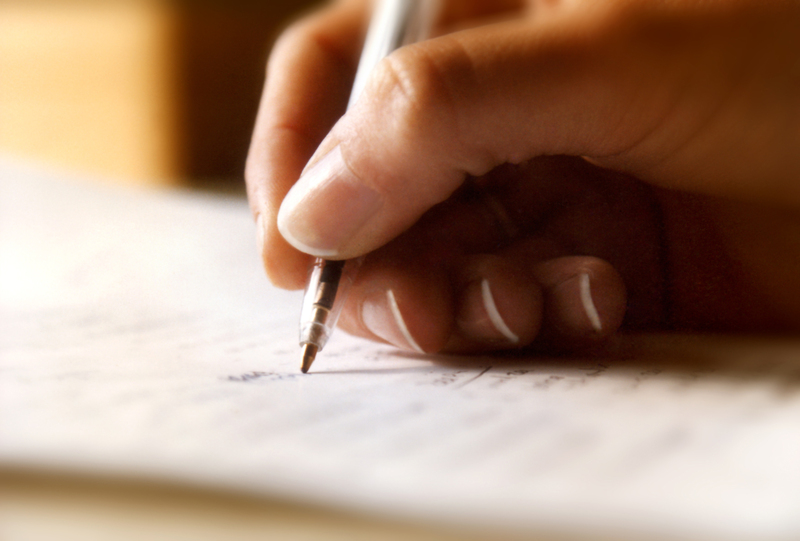 If the 1000-words-a-day approach fits you as a writer, I highly recommend it. I am a rather erratic writer: some days there are pages, other days if I end up with one really good sentence, that's all I can show for it. On those days I may write many paragraphs and then delete them in disgust. But luckily for me, projects seem to gather momentum, and then I get swept into the writing. I forget to stop for a meal, and will look up from the page at 2 a.m., wondering how it got to be so late. If you're that kind of writer, the problem is that you can't plan momentum (in the way that you can plan 1000 words a day). So you have to create conditions that might lead to it. A regular writing time & place might help you get there. Good luck to all this summer! Stein on tenBroek's "Right to Live in the World"
Williams on Bracton and "the 3 R's"